Get our free eBook learn how to play a safer, more empowering game of tug. Get your FREE eBook and learn 5 techniques for playing a safer game of tug. She stood, fully armed. Prepared for a day of fun at the beach. In one hand, she had a chuck-it – a plastic contraption designed to launch a tennis ball to the moon without much arm strength. In the other, she had a tug toy. She figured, if her dog didn’t want to chase the ball, certainly she could get him to play tug with her. And slung over her shoulder was a backpack full of poop bags, water bottles and a plethora of other toys she’d snagged from her dog’s toy box. The dog pranced happily at her side as the two made their way down the sand. She unclipped the dog’s leash, loaded up her chuck-it with a fresh tennis ball and gave it a launch. The dog trotted after it, but halfway down the sand, some stray seaweed piqued his interest. He became distracted and he forgot the thrown ball even existed. She grabbed her tug toy and shook it at him. “Come on,” she taunted, “Let’s go!”. She walked over to him and shook it again, pushing it in his face to capture his attention. He looked at her briefly and trotted off. The toys in her hand were no match for all the sights and smells at the beach that day. What's Your Dog's Play Style? Find Out Now. 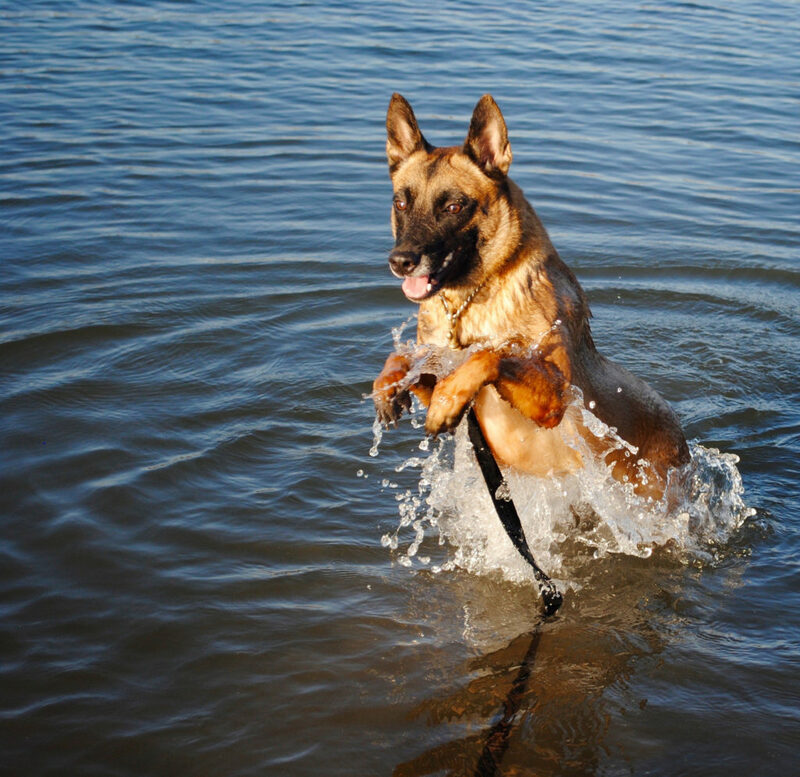 Get our FREE guide and evaluate your dog’s unique play style. And, be the first to know when we post new training articles and tips! Her dog didn’t want to play with toys that day at the beach. He was much more interested in the sand, the seaweed, the other dogs, and the parasailers. 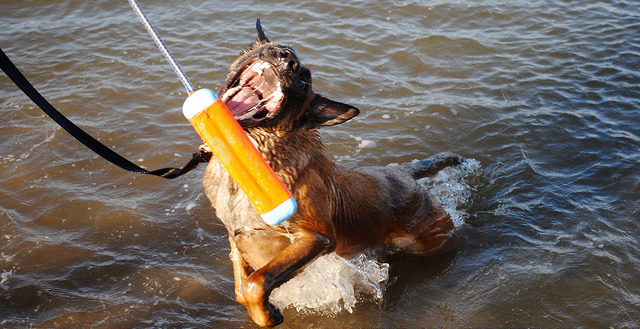 If dogs generally enjoy playing with toys, toy play can be a tremendous asset in your training toolbox. Toy play is invaluable for boosting engagement and building your relationship, and it can be an incredibly effective reward when you practice your training. Not to mention, toy play is a great way to get your pup exercise while working on strengthening your bond. And the great news is, if your dog is interested in toys, even just a little bit, you can absolutely build their motivation and drive for them. That day at the beach might sound pretty familiar – in fact, I see countless dog owners struggle every day to get and keep their dog’s attention. And I see countless dog owners with dogs who go nuts for toys and play at home, but completely check out when in new environments. Their dog likes toys…but that “like” isn’t enough to compete with the surrounding environment. First, the dog had ready access to toys. I mean A LOT of toys. 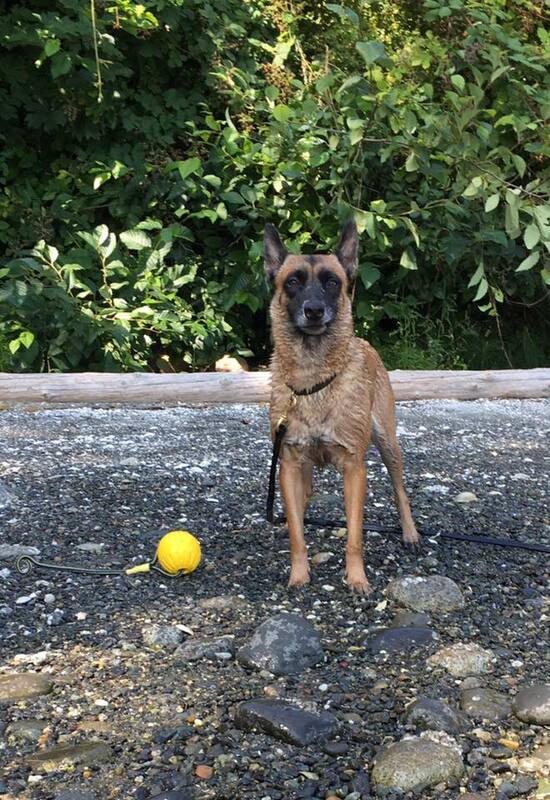 She hit the beach with an entire backpack full of toys that her dog had ready access to. I mean, I like chocolate but if I ate it 24/7, it would quickly lose its value. Our dogs are no different. If they have full access to their favorite toys and can chew on them whenever they like, why should those boring old toys hold their attention in new places with new things? If your goal is to build motivation for toy play, don’t give your dog ready access to their toys. Instead, pick one or two toys that you’d like to use in exercise and training, and put them away. Only bring them out during dedicated play sessions with you, and put them away as soon as you are done playing. This will help the toy hold value in your dog’s eyes. Rather than having her dog commit to the thrown toy, she switched toys, trying to find one her dog actually liked. Listen, before you go somewhere new, figure out which toys work best for your dog. And when you throw those toys for your dog and they turn their nose up, don’t instantly give them something new. Not only will this teach them to be picky about their toy choice, it will also keep them from committing to a toy that’s been thrown or presented. One toy. One throw. Commit. And play. You can trade toys when your dog brings one back. But if your dog doesn’t engage with the first toy you threw, don’t try with another. Toy play is rooted in our dog’s natural instinct to hunt and catch prey. As such, toys must mimic prey to be “fun”. But when was the last time you saw a rabbit dive willingly into a dog’s mouth? And how often do YOU like having things shoved in YOUR face? For toys to really activate our dogs, they need to escape, get away and mimic prey items. They need to MOVE to be fun. So get that toy moving! 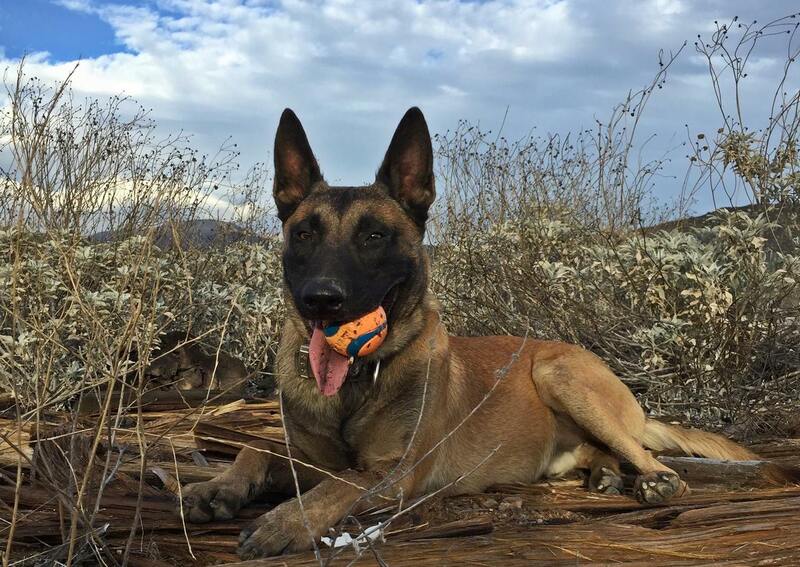 There is no reason for you to throw your ball or toy 100 yards down the grass, field or sand. If your dog is lackluster with toys, making them work this hard to get their toy is setting them up to fail. Instead, keep your throws short and quick to keep your dog’s attention. And if your dog loses interest after throwing the toy, you can race them to it a few times (always letting them win) to help keep them motivated. Going to a really distracting new environment, where there is a LOT competing for your dog’s attention can be tricky if your dog is just so-so about toy play. Instead, practice in quiet settings that are familiar and really get your dog’s motivation up. Once they fall in love with the game and their favorite toy, you can start venturing out into new areas, making sure to keep it easy to start. And make sure that whenever you go to a new environment, you INCREASE your energy. 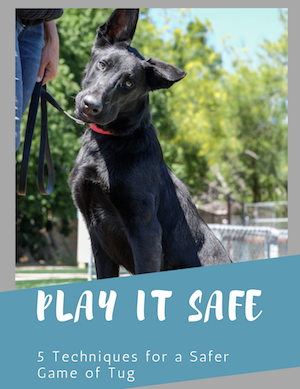 Play, praise and have fun with your dog. Toy play can be invaluable for boosting your relationship with your dog, and for increasing engagement. And I’m here to tell you, your dog can successfully learn how to play with toys if you are willing to get active and energetic with them. So get out there, throw caution to the wind, and have some fun with your dog. If you’re not sweating when you’re playing with your dog, you’re not doing it right. 9 replies to "Throw Caution to the Wind: 5 Simple Steps for Boosting Your Dog’s Motivation for Toys"
Totally makes sense good article. My dog has never been interested in toys…ever! Squeaky toys. Rope toys. Rubber toys. Kicked balls. Thrown balls. In the house. In the backyard. Thrown far. Thrown close. Chase me. Chase the toy. Nothing! He just looks at me like “if you’re not a real cat or rabbit, I ain’t chasing ya!” His love is nose – work and that’s what I focus on. You described my dog to a tee!, I still try and after watching the intro video I see I’ve been doing it all wrong! Tennis balls will be later! Great article! May I have permission to copy it for my obedience class students? I’d give you credit, of course! I agree with things for the most part. I disagree with distance on throwing the ball. Yes, you have to work them at a shorter distance. But Training Duck & Quail dogs. I throw as far as I can. Because the reality of in the field hunting. The birds are not going to land at a short distance. Also a couple other items I am not solid on due to the fact I train different and have other methods than what are being mentioned here. Each Trainer has their own methods and I have learned from other Trainers and even from my Students, also from each dog I train. Always keep an open mind and expect to learn from the least likely place you would think you would learn something. Wow!! Love this……..value, throwing too far and letting your dog get ‘picky’. Great information!